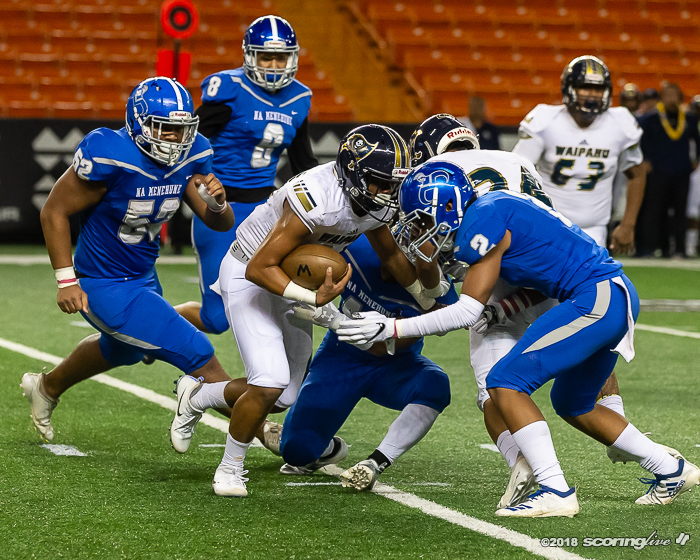 HALAWA — There was no shortage of power for No. 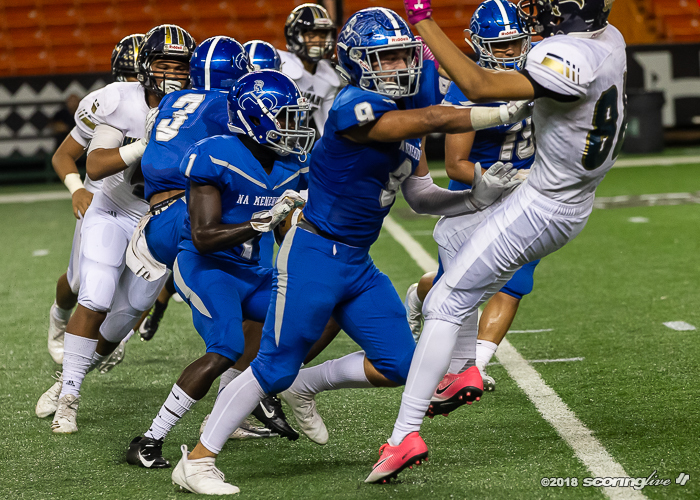 10 Moanalua Friday night at Hawaiian Financial FCU Field at Aloha Stadium. 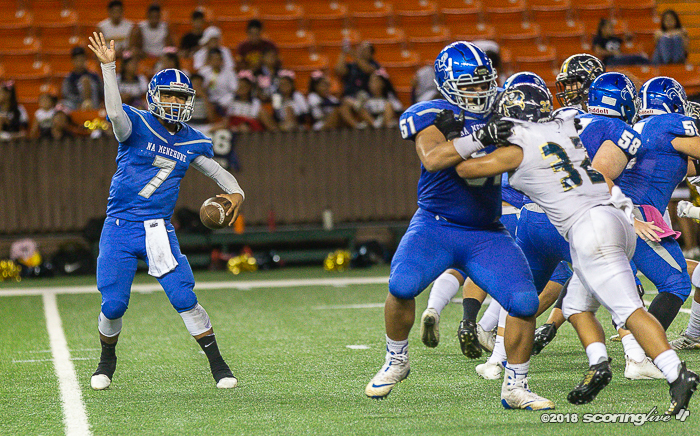 Nick Au passed for 364 yards and four touchdowns to lead Na Menehune over No. 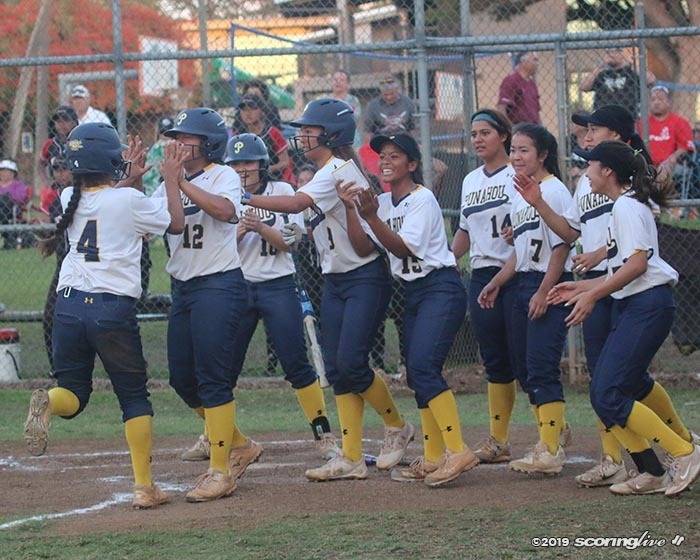 15 Waipahu, 29-5, to clinch the Oahu Interscholastic Association Division I top seed. 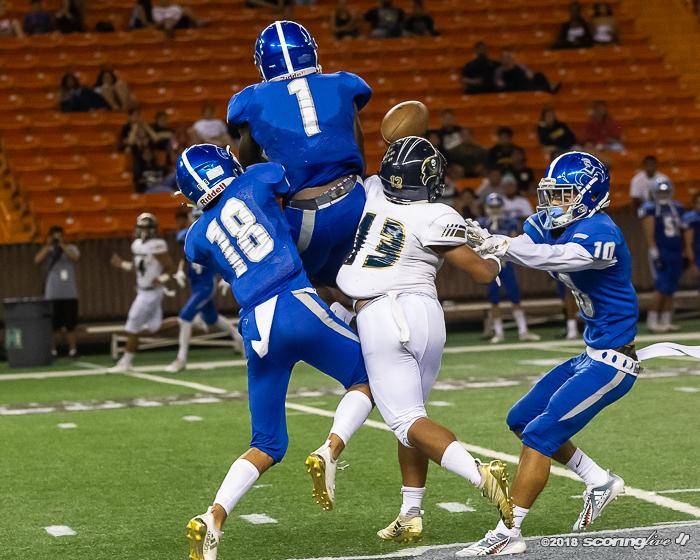 The top four teams advance to the OIA tournament. 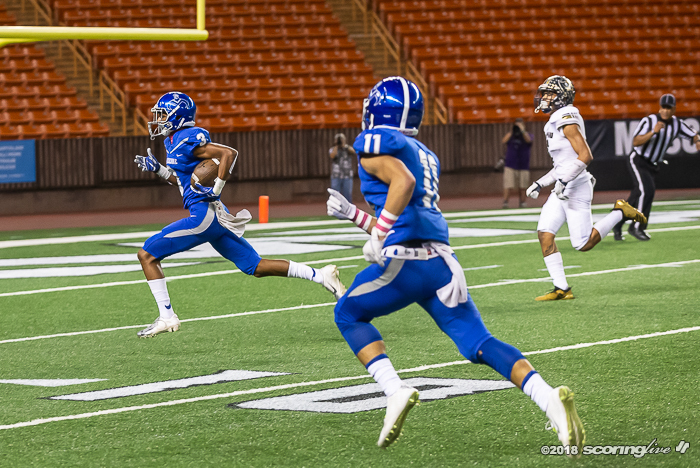 Moanalua improved to 7-0 overall and 6-0 in the OIA. 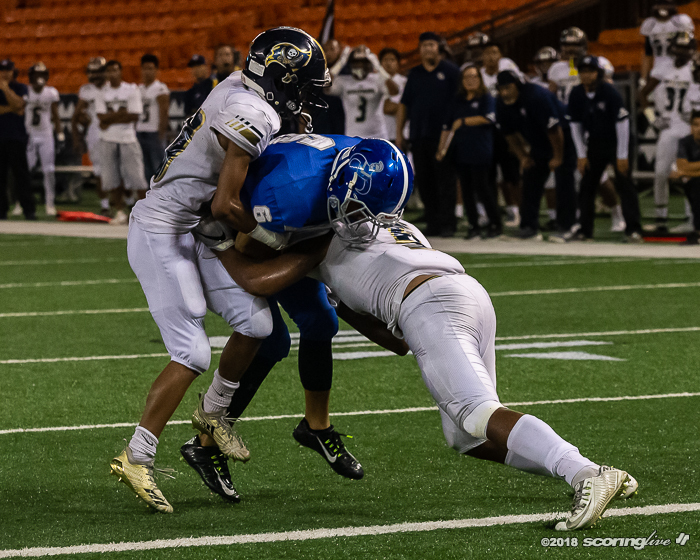 Waipahu dropped to 5-4 and 4-2. 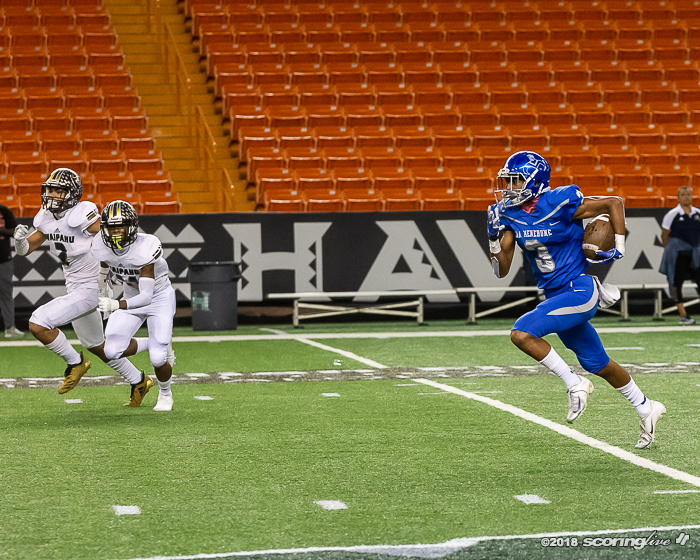 The Marauders, Leilehua and Castle have clinched the rest of the top four spots. 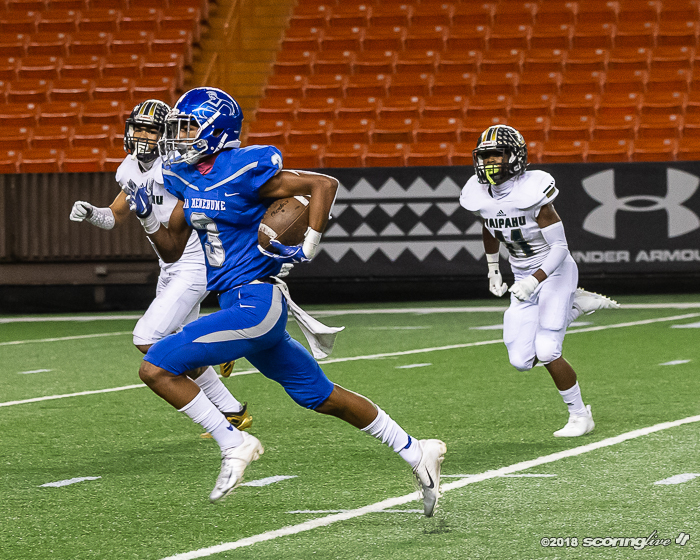 In an unusual move, host Moanalua moved to the stadium because of light issues at its home field. 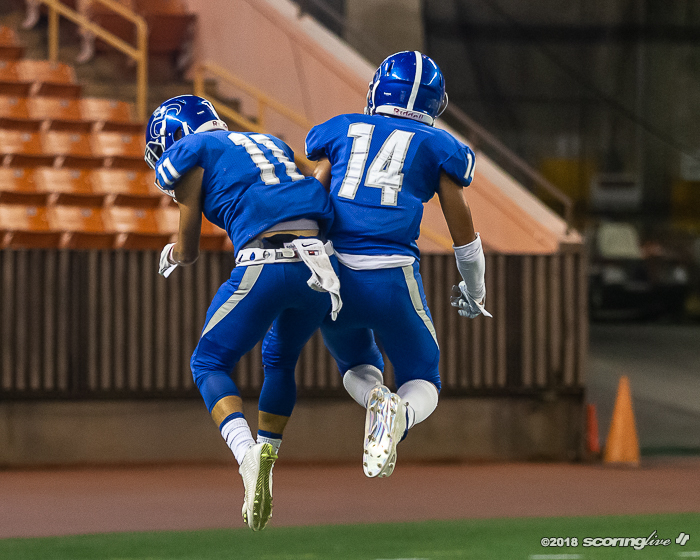 Moanalua is scheduled to host Nanakuli next Saturday. 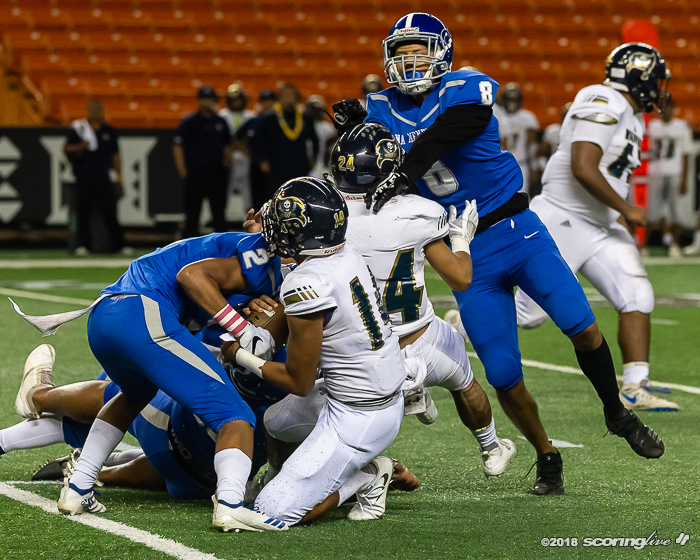 If lighting is still an issue, the game could be moved to day hours, OIA executive director Raymond Fujino said. 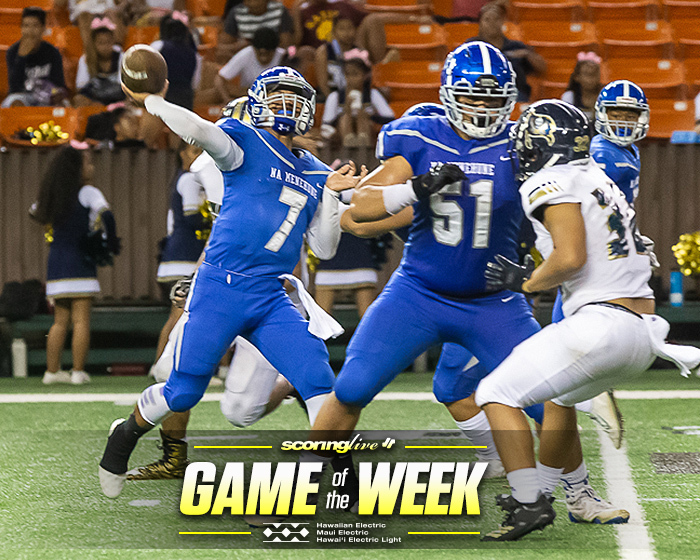 "This is very big," Moanalua coach Savaii Eselu said. "We knew what the situation was and it worked out in our favor. Still a lot to clean up, still a lot of put together, but I will take it." 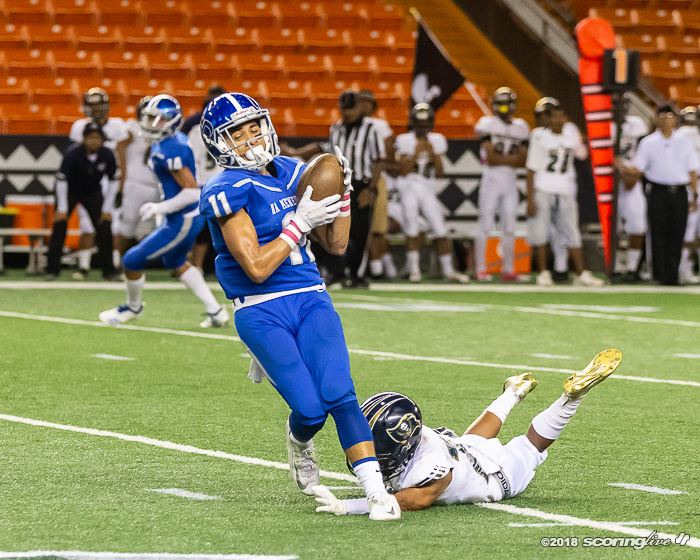 But wide receiver Rudy Kealohi said he wants more. 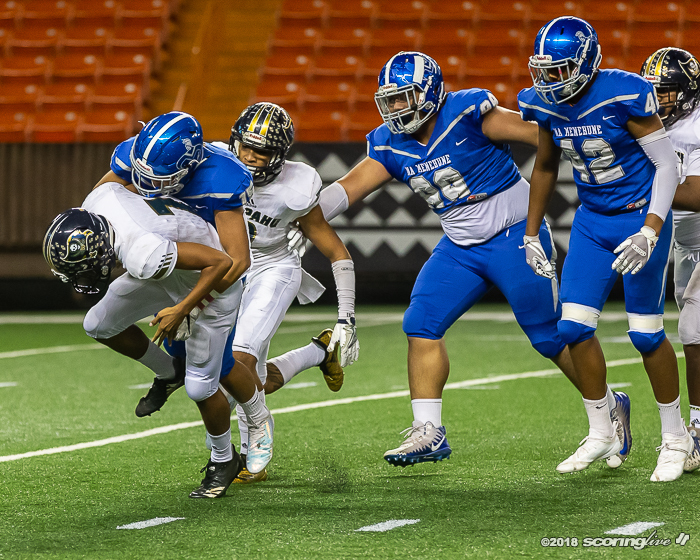 "It's big, but we can't stop," Kealohi said. "We gotta keep it going." 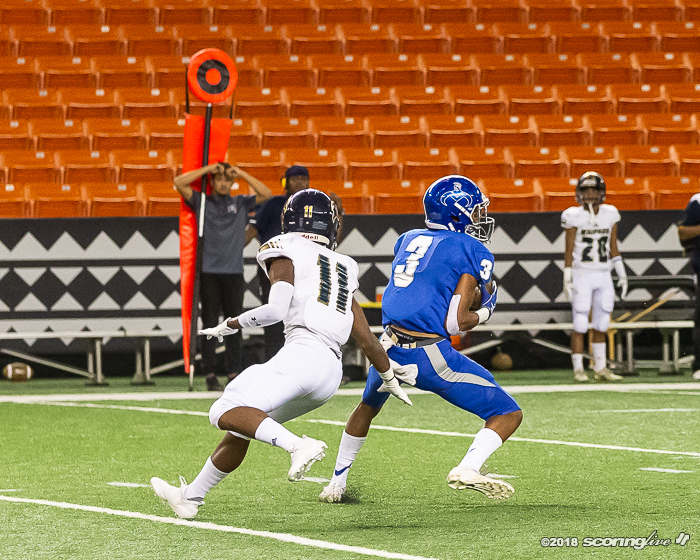 Just three plays from scrimmage and less than five minutes into the game, Moanalua was up 14-0 on TD passes from Au of 63 yards to Ezra Grace and 45 yards to Kealohi. 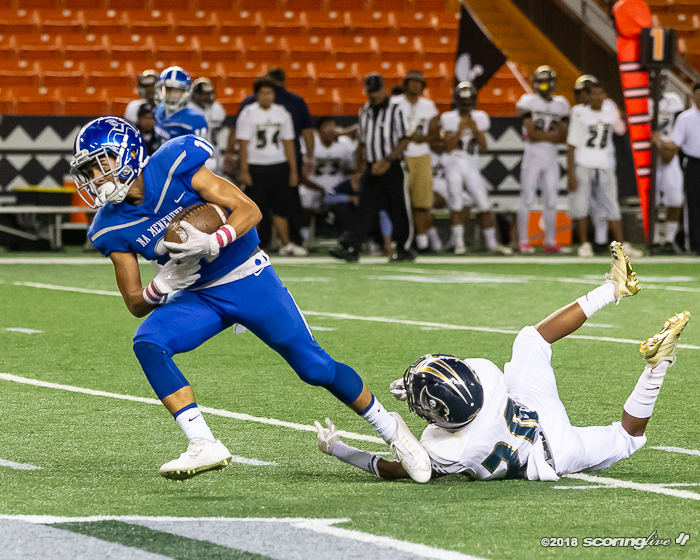 Kealohi was the flavor of the night, hauling in a game-high 14 catches for 140 yards. Au completed 33 of 43 passes without an interception. 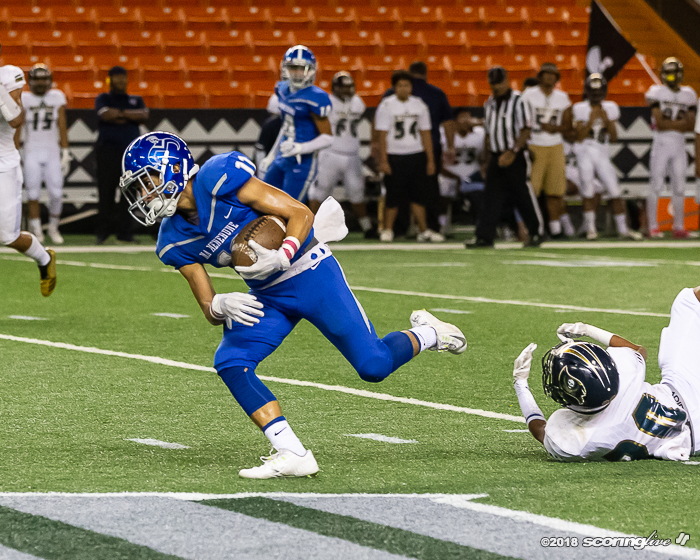 On both pass plays, each player scored after open-field missed tackles. 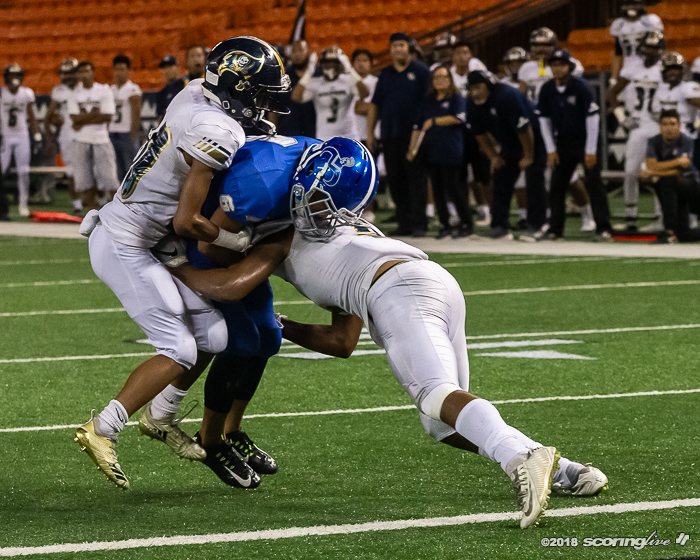 "That was what we talked about at halftime," Waipahu coach Bryce Carvalho said. "We kind of gave up big plays. 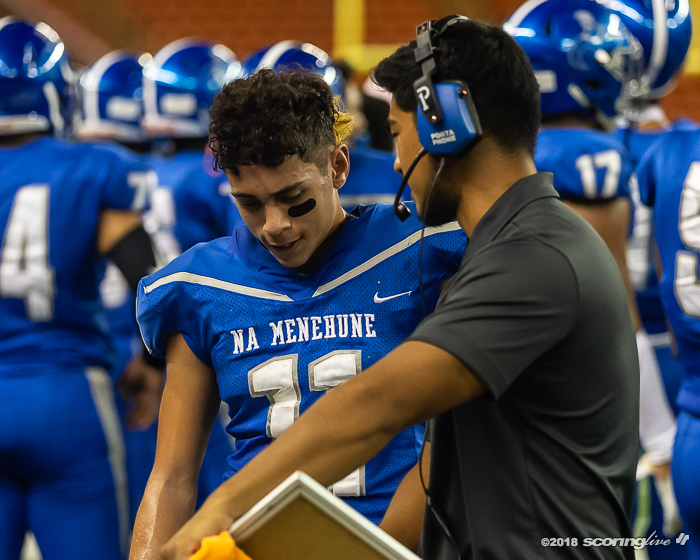 Once we put it together on defense, I thought we'd be OK."
But Au was sacked four times, including once for a safety when he was caught by Amo Montero in the end zone. 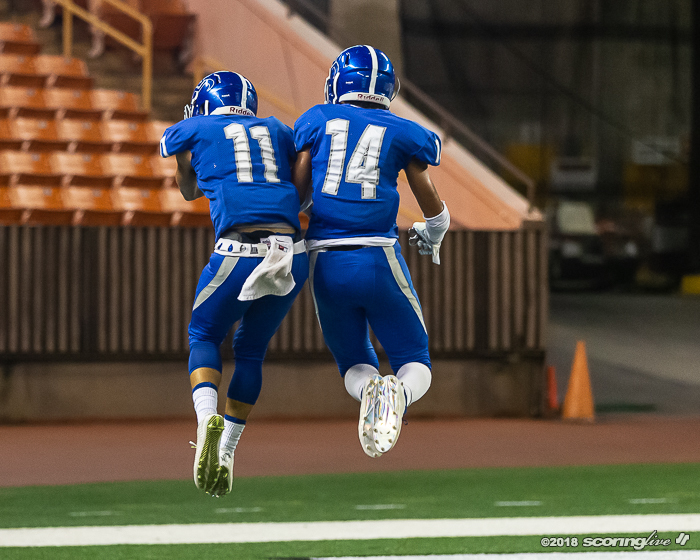 Moanalua's Christian Sison intercepted Cody Marques about 5 yards deep in the end zone and returned the ball to the 13. 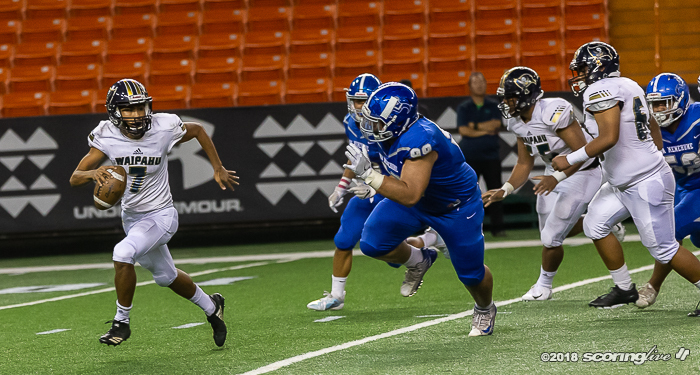 After a 5-yard gain on first down, Montero sacked Au for a 10-yard loss before sacking the QB in the end zone. 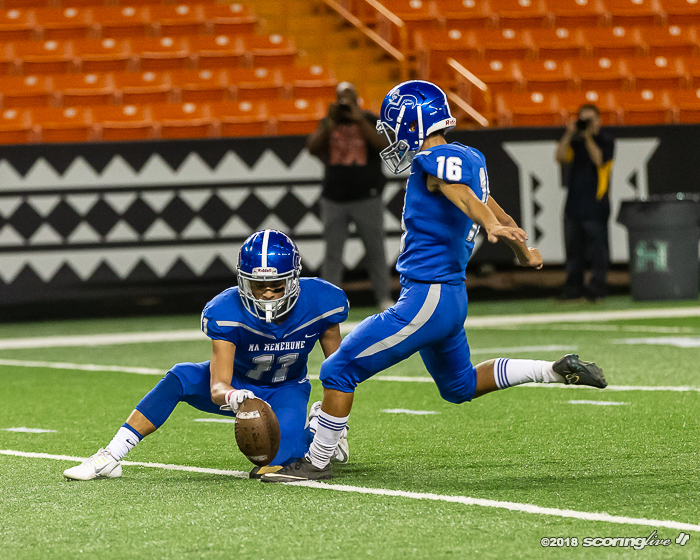 The Marauders got good field position from the ensuing free kickoff to set up Brycen Amorozo's 34-yard field goal with 3:47 left in the half to pull Waipahu to 14-5. 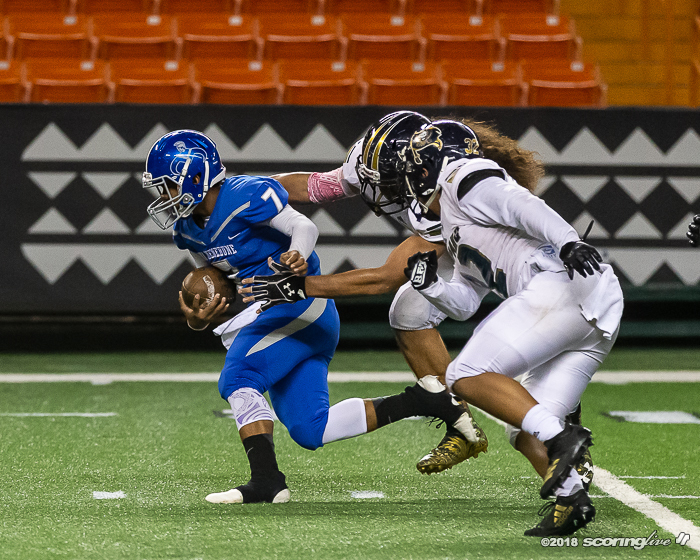 "I was getting kind of worried because we were getting break downs on the o-line," Eselu said. "We weren't communicating up front." 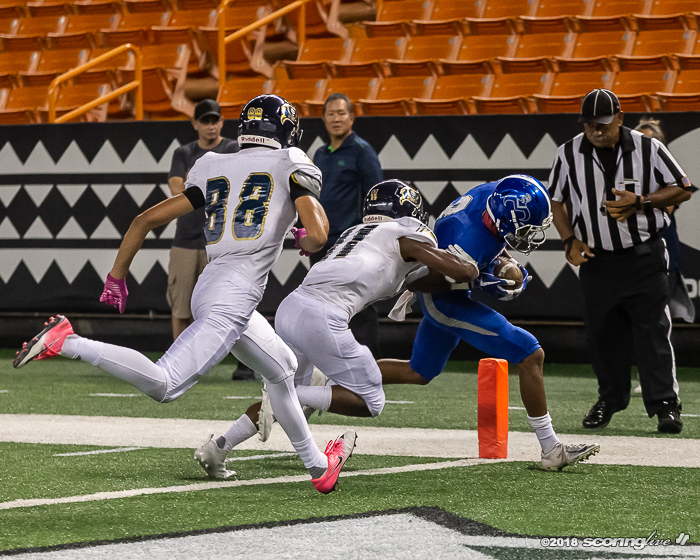 Moanalua, though, gave itself a breather with an 11-play, 74-yard drive that ended with Au's 7-yard TD pass to Grace on the left flat. 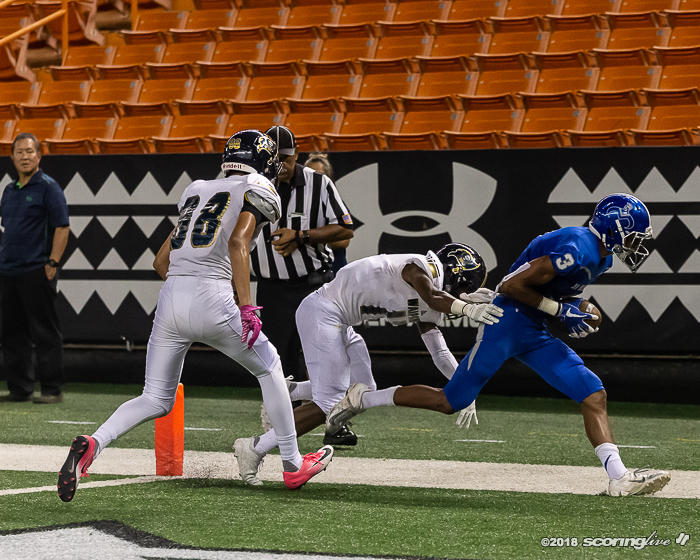 The PAT failed, but Moanalua took a 20-5 lead into the half. 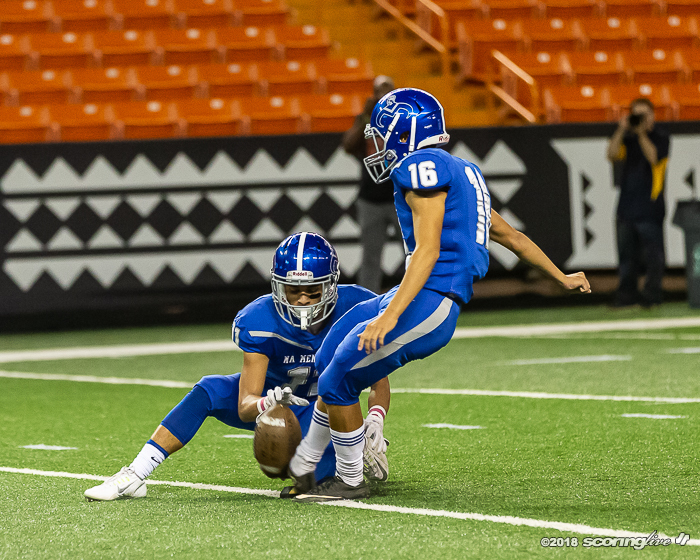 A 21-yard punt return to the Waipahu 49 by Grace set up a 24-yard field goal by Griffin Motas to increase Moanalua's lead to 23-5. 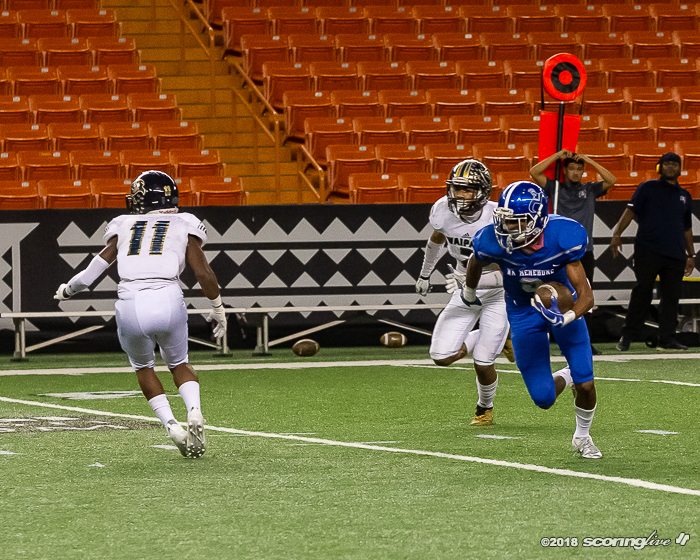 Na Menehune put the game away for good in the fourth on Au's 1-yard TD pass to Drayden Von Oelhoffen. 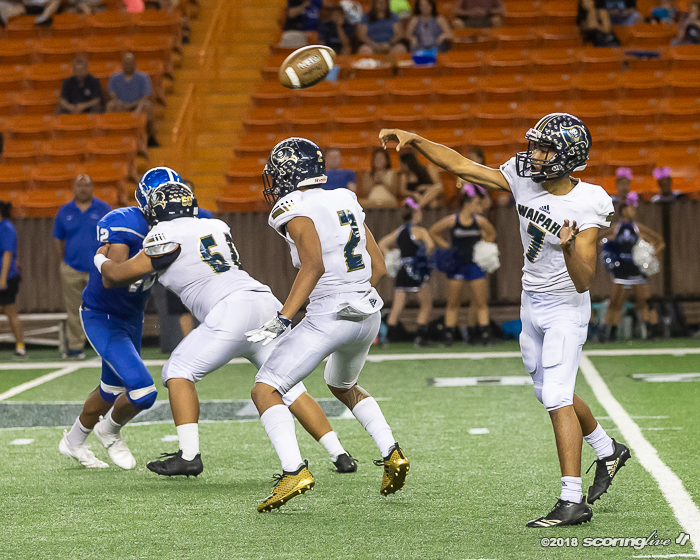 The PAT was blocked to keep it 29-5. 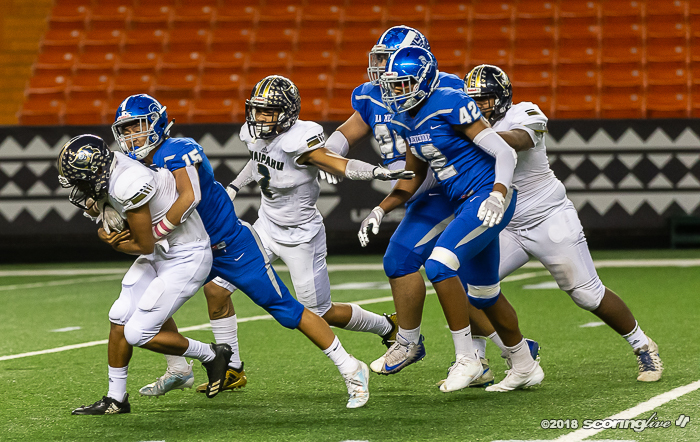 For Waipahu, it was a bad time to come up short on depth. 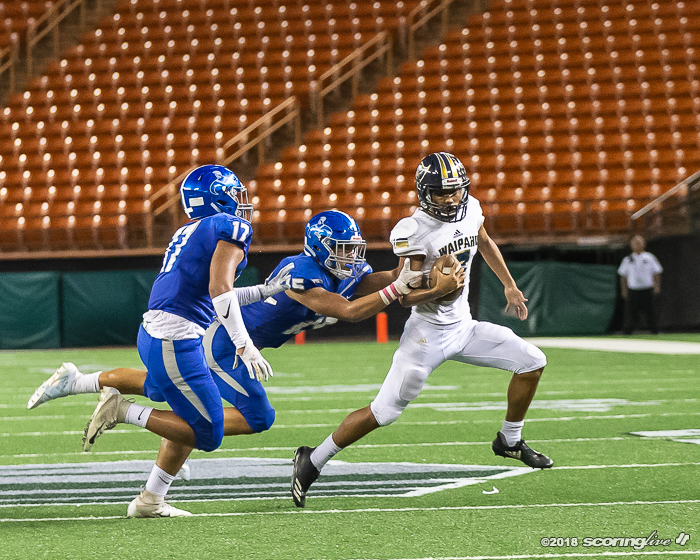 Carvalho said he had only one set of offensive linemen and that running back Alfred Failauga, who was coming off a 144-yard rushing game against Leilehua, was sidelined with a root canal. 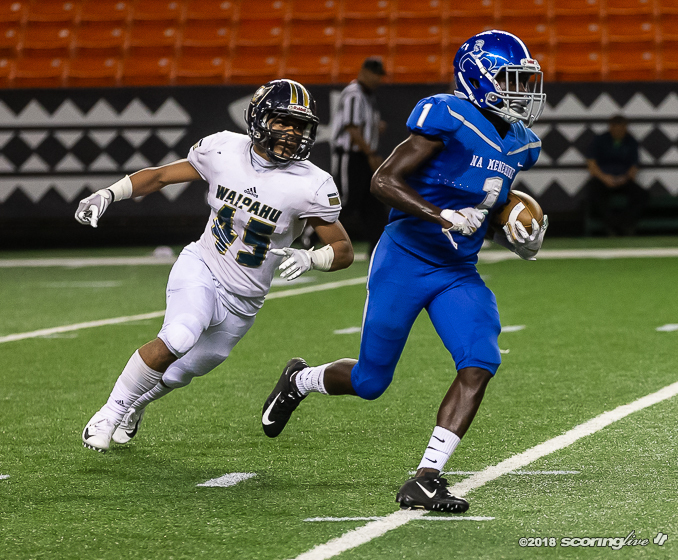 "We knew going in we had to win this game on the defensive side of the ball," Carvalho said. "We just came up short. We gotta bounce back, knowing we got two more weeks at the minimum or month-and-a-half at the max so we want to make sure we play at our fullest potential." 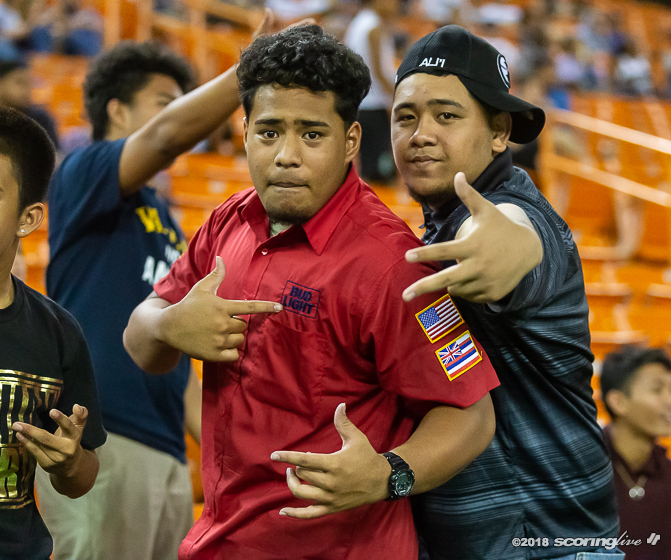 Meanwhile, it was a super night for Au and Kealohi. 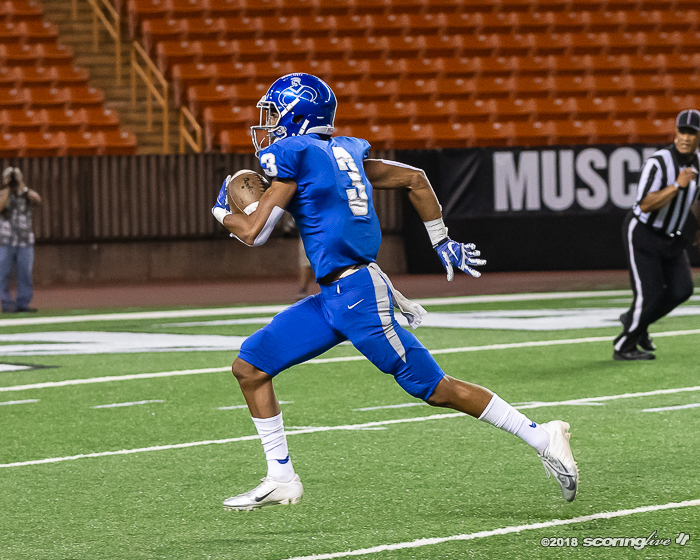 "It feels super good," Kealohi said of his 14 receptions. 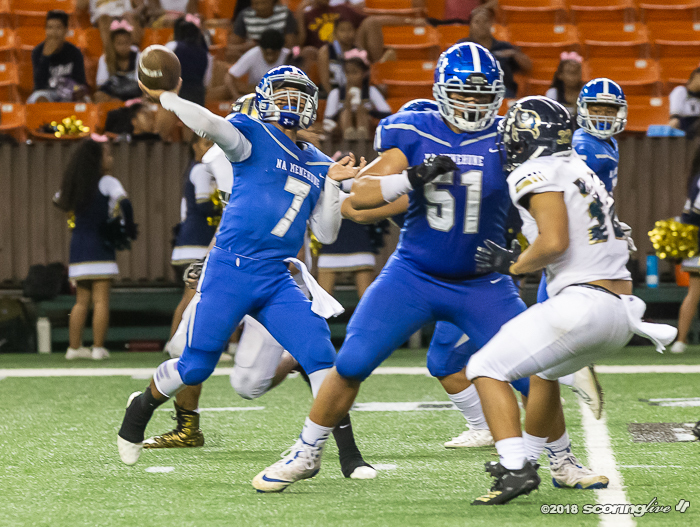 "My quarterback having confidence in me to catch every ball. 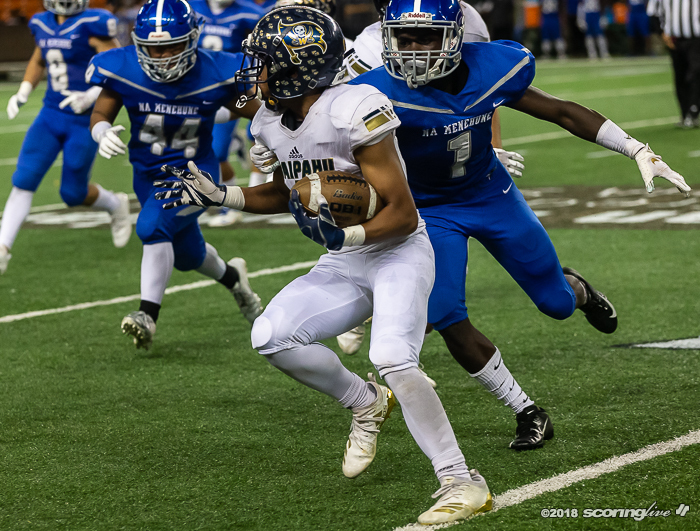 I have to try my best in everything I do and I play for my boys." "It was just the plays," Au said. "He was open most of the time, so it's just catch and throw." 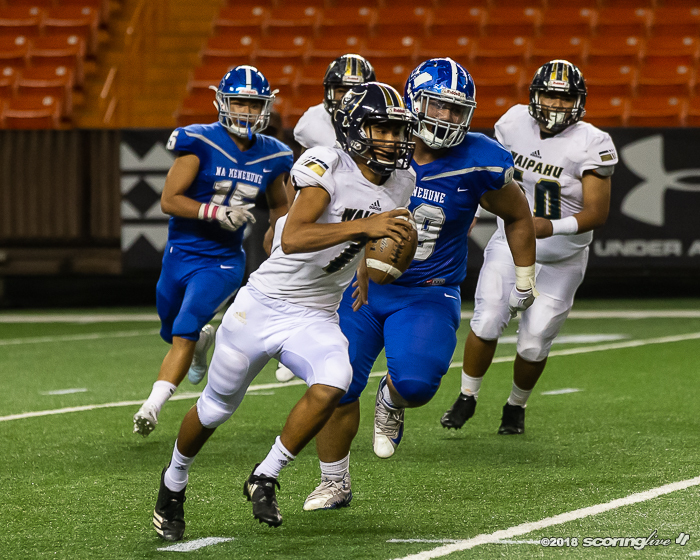 Waipahu will visit Kailua on Friday to end the regular season. 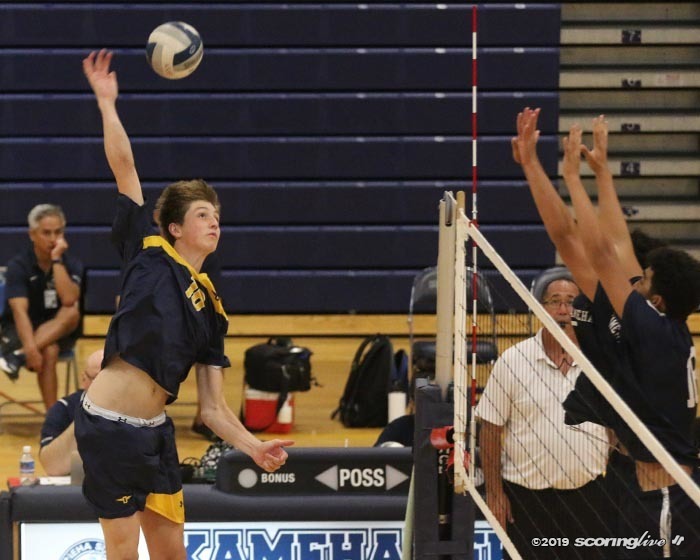 Reach Stacy Kaneshiro at [email protected]. 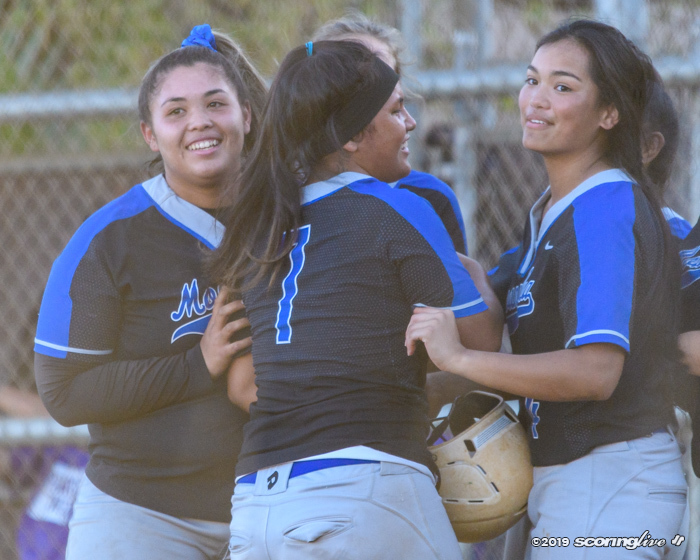 Lilinoe Nihi's RBI single in the bottom seventh walked Na Menehune off with the win. 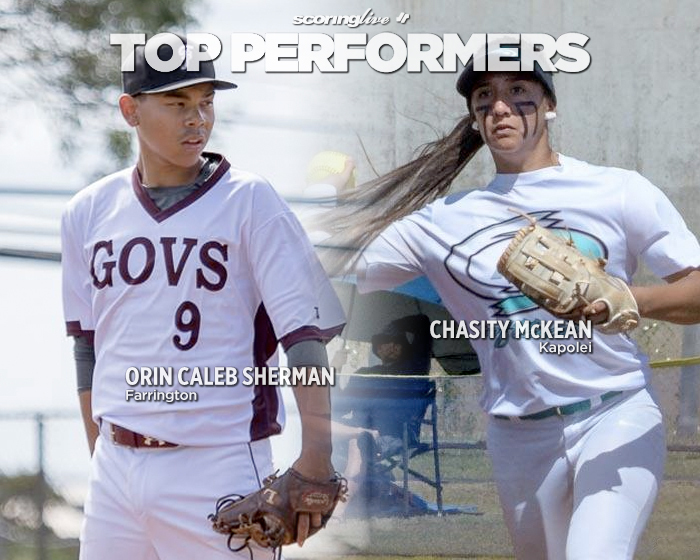 The pair of seniors sparked big wins on the diamond for their respective teams last week. 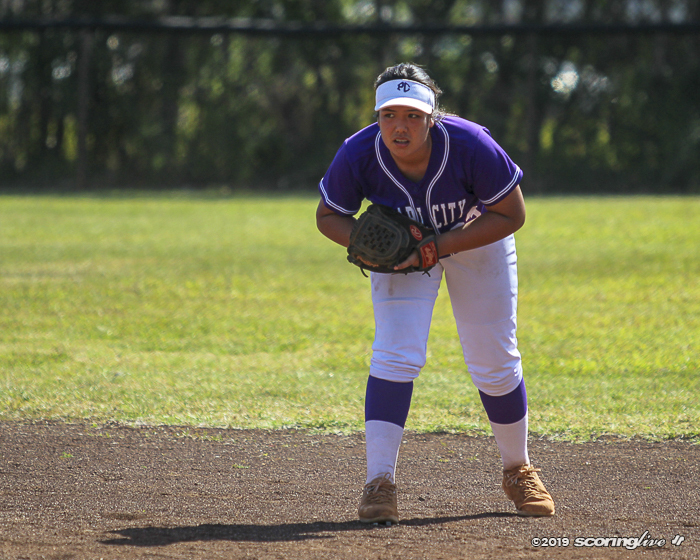 D’Asha Saiki batted 2 for 4 with two doubles and scored three runs. 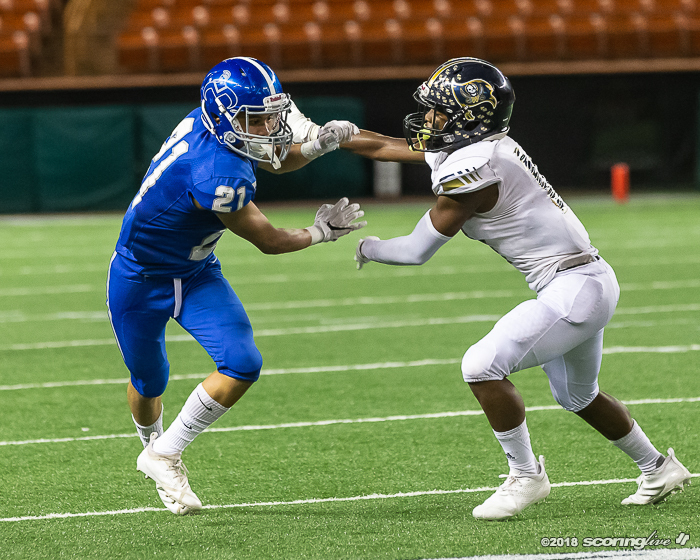 Pearl City and Kapolei gives the OIA seven teams in the Top 10. 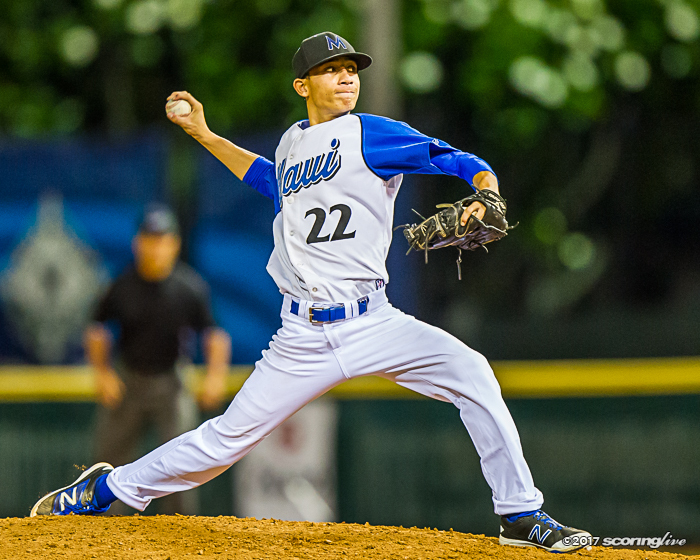 The Sabers are ranked again after sweeping Kekaulike in a three-game series. 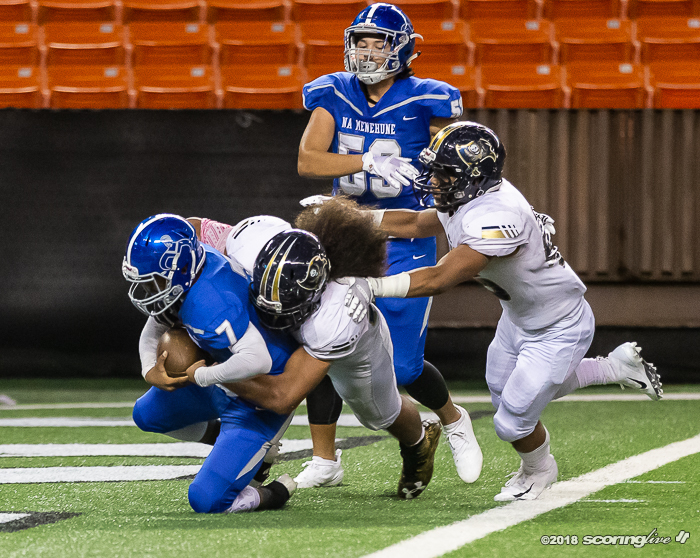 The Buffanblu totaled 11 blocks to win the ILH Division I first-round title.